Ms. Lorraine Archibald, Coordinator of the Gender Affairs Division, in the Premier’s Ministry on Nevis. 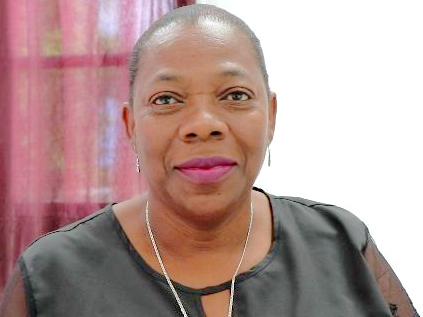 CHARLESTOWN, Nevis — Nevis will join other jurisdictions across the world in celebration of International Women’s Day on March 8, however, the day will be observed with a number of activities throughout the month. Ms. Lorraine Archibald, Coordinator of the Gender Affairs Division, in the Premier’s Ministry, noted that under this year’s theme “Think equal, build smart, innovate for change,” the activities planned would concentrate on a number of areas relating to the advancement of women. “The theme focuses on innovative ways to advance gender equality and the empowerment of women particularly in the areas of social protection systems, access to public services and sustainable infrastructure,” said Ms. Archibald. The activities will commence March 7 with the launch of free self-defence classes targeting women. March 8, Junior Minister of Gender Affairs Hon. Hazel Brandy-Williams will deliver an International Women’s Day speech. During that day, the public is asked to wear the colour purple in solidarity with the women of Nevis and women throughout the world. March 10, a church service will be held at the Shiloh Baptist Church in Ramsbury from 11 a.m.
March 22, Women’s Empowerment Fair and Exhibition at the D.R. Walywn Plaza in Charlestown from 10 a.m. to 4 p.m.
Ms. Archibald encourages everyone, particularly men, to participate in the activities open to the public.